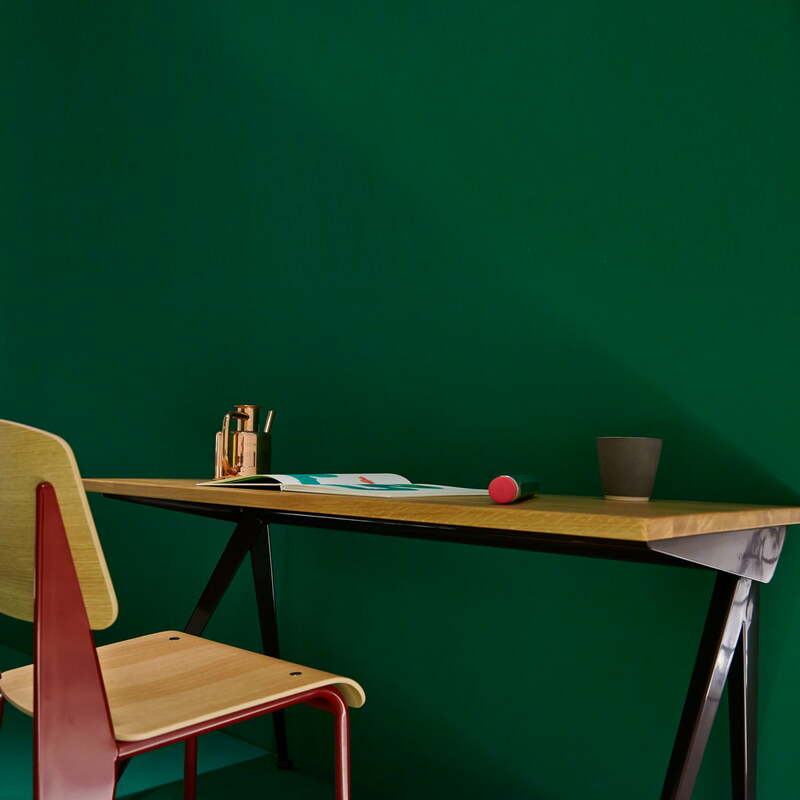 The Compas Direction is the re-edition of a 1953 designed piece of furniture by Jean Prouvé: The French designer was very successful with the desk, completely fulfilling the demands of the time – the desk was actualized by Vitra. 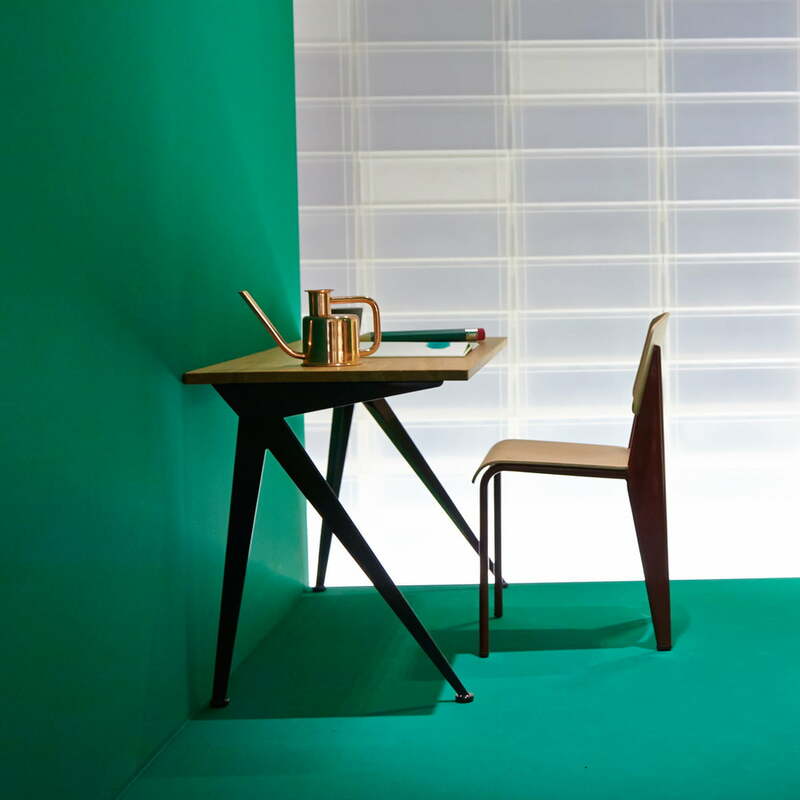 Together with the fashion label G-Star, Vitra re-edited a collection of furniture pieces by the French designer and architect Jean Prouvé in 2011. 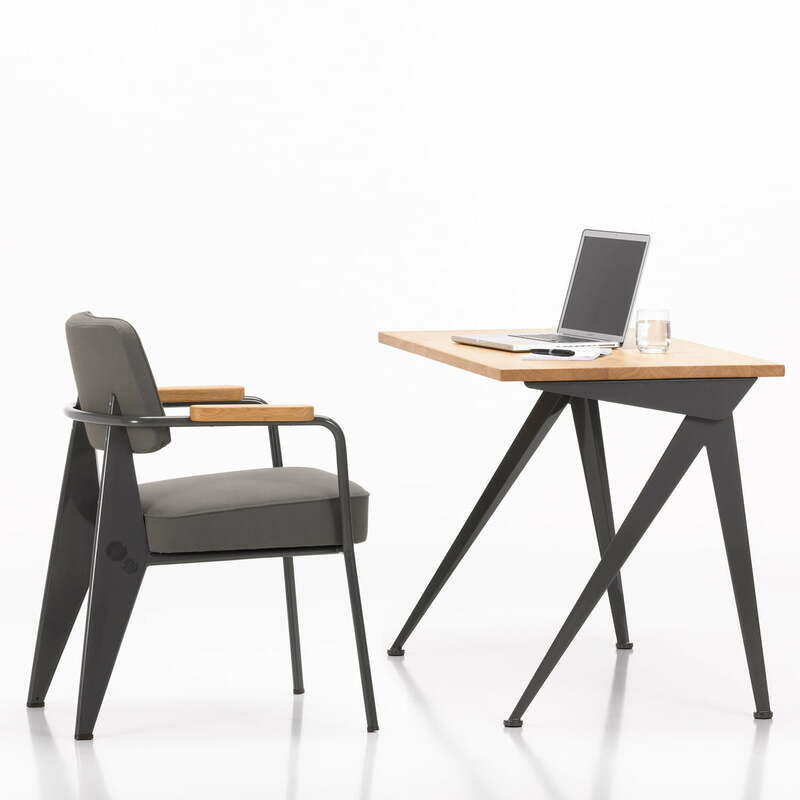 The designs were presented on the Vitra Campus in Weil am Rhein, and nine serial produced products emerged out of the cooperation: the RAW Edition. 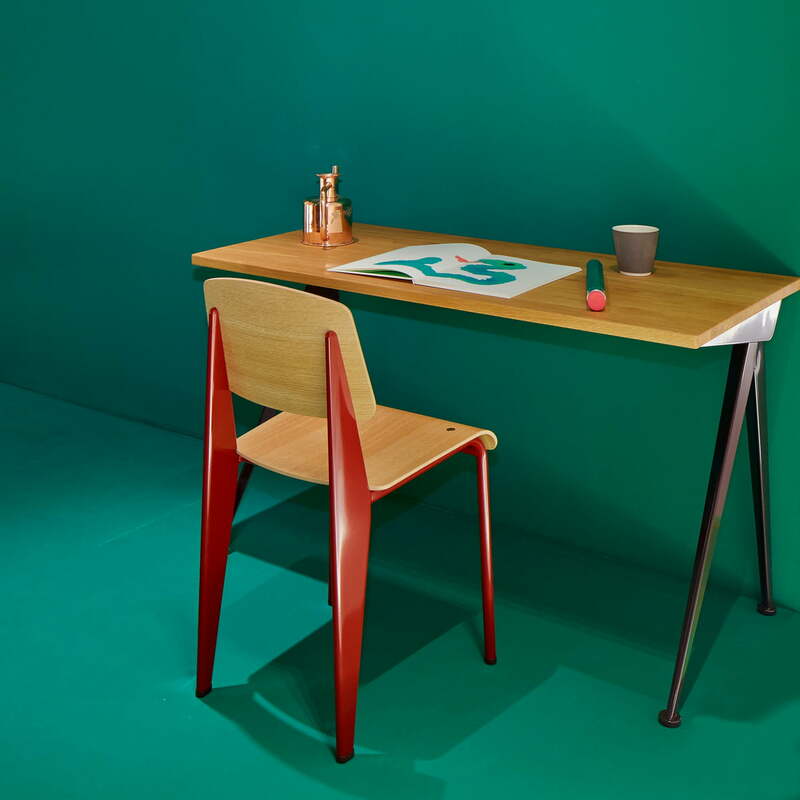 The contemporaneous interpretation of Prouvés classic pieces have been well received by consumers, so that Vitra decided to include some of the objects in its permanent collection – among them the Compas Direction. 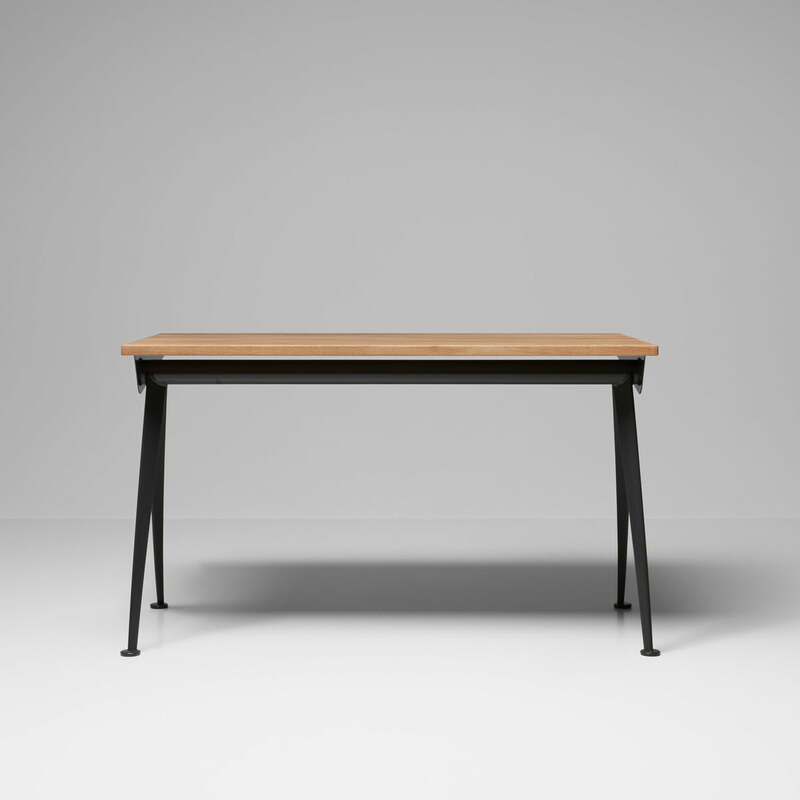 The initially 1953 designed Compas Direction is a real classic piece by Prouvé: With its slim shapes, flat surfaces and the asymmetric feet, it is the embodiment of the 50s design. Also important for that design époque: The clear functional line ensures that the practical usage isn’t forgotten. These qualities make the Compas Direction perfectly suitable for modern homes. 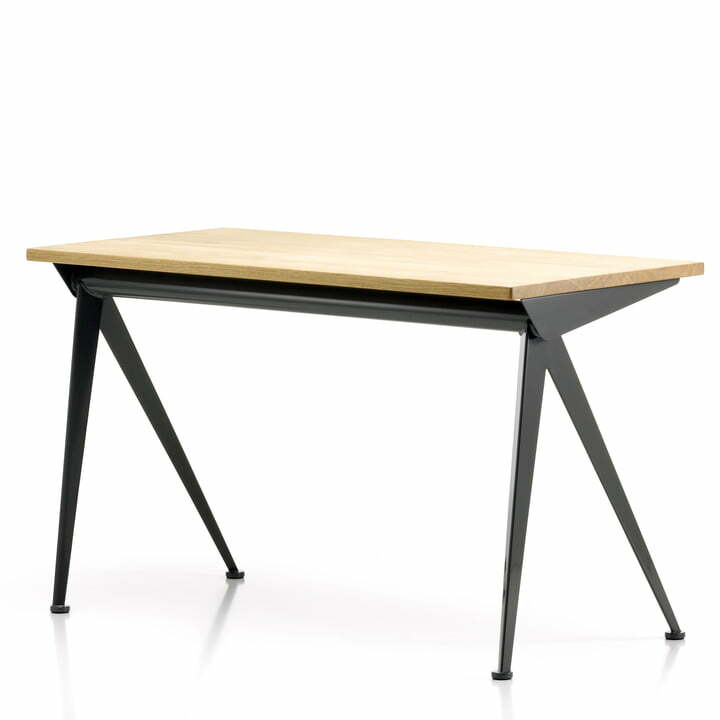 Vitra manufactures the re-edited Compas Direction out of powder coated steel and a massive board of oiled oak wood. 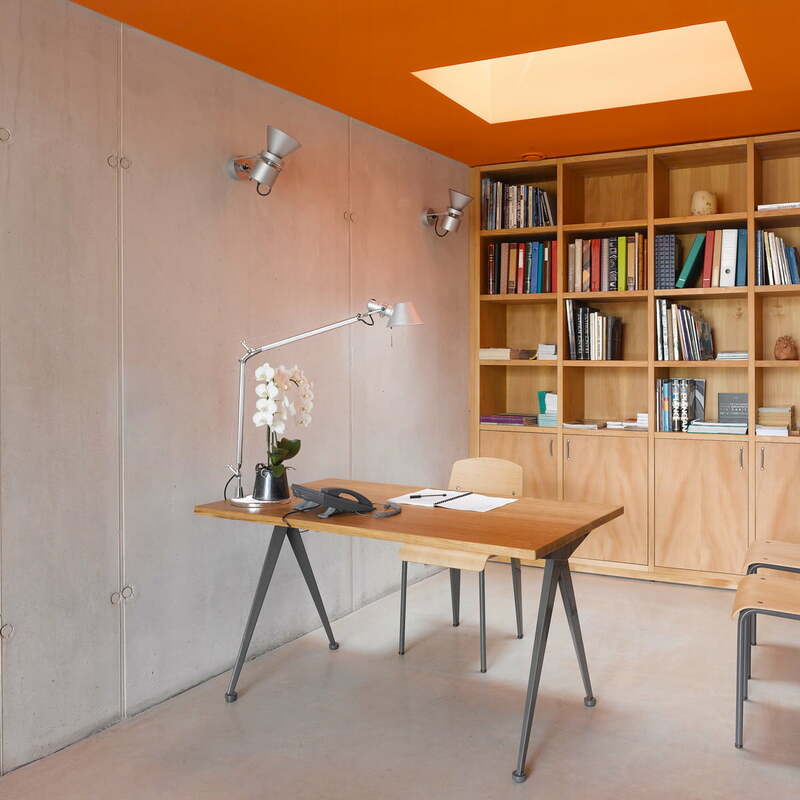 The natural material appears in an exciting contrast with the basalt coloured base, which offers a bribing, but still withdrawing elegance to the Jean Prouvé desk.